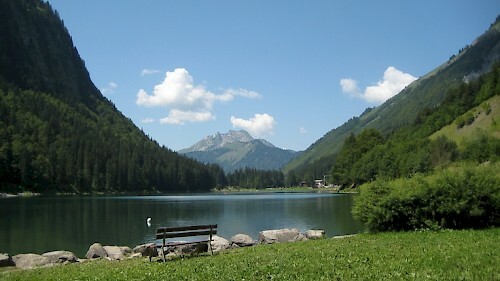 Morzine really is a hidden gem once the snow melts and the long summer evenings arrive. The landscape gets covered by lush wild flowers and the laid back nature of Alps goes into overdrive. 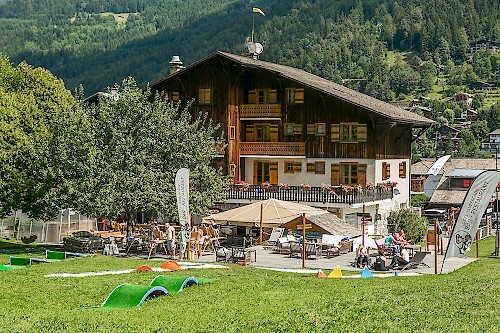 The whole town relaxes into making the most of mountain activities, the beautiful surroundings and the gorgeous weather. Transforming from ski slopes to meandering mountain biking and hiking trails, Morzine’s mountains become tinted with luscious green and the warm Mediterranean conditions that cover southern France during summertime. This weather, combined with the stunning surrounding geography, creates the perfect conditions for action sports like mountain biking, trail running and parapenting, as well as more leisurely activities such as tennis, swimming and hiking. 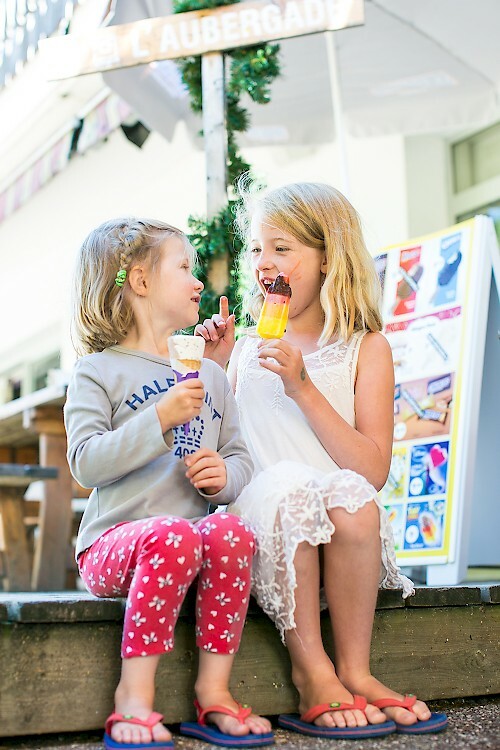 We love the summer, and as Morzine is known to be one of Europe’s best hidden summer destinations, we know we’re exceptionally fortunate to call it home. Here are just 5 reasons why you should visit Morzine this summer! Once the summer arrives, the Mediterranean climate brings everyone into leisurely holiday mode, keen to make the most of the warm summer days. Similarly to winter, summer sports enthusiasts descend on the mountains to make the most of the stunning views whilst keeping fit through their chosen activities. 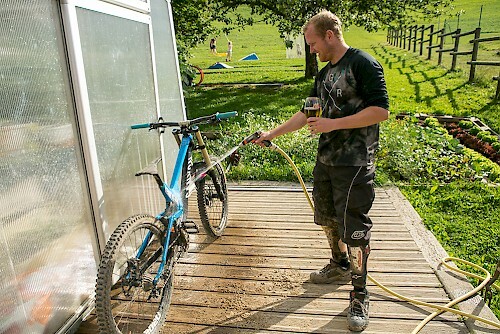 Morzine is renowned for it’s incredible mountain biking trails that provide bikers of all abilities the perfect environment to test themselves and their bikes. World famous mountain bike competition Crankworx has its three-year residency in neighbouring Les Gets in June, and close by resort Chatel has also hosted the MTB World Cup in recent years. If downhill isn’t your cup of tea then there are a huge amount of endurance trails and beginner areas. L’Aubergade & Le Cottage are great places to stay over the Summer as the mountain bike trails practically lead to the bar, and the terraces really come into their own on the long summer nights! Le Tour De France has put Morzine on the map for road biking. Thousands of keen cyclists descend on Morzine to accomplish steep climbs like the Col de Joux Plane that has tested some of the best cyclists in the world. 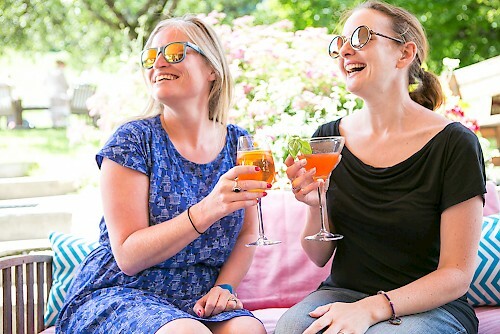 If you’re looking for a cycling holiday then Chalet Chambertin or L’Aubergade are great retreats, and we also offer fully supported cycling tours with friends Velovation. When international events like Le Tour de France, Harley Days, Crankworkx and the Mont Blanc Rally come to Morzine, the whole town transforms with a festival like atmosphere. The town also hosts plenty of smaller weekly events from markets to music events so you’ll never be short of things to do – and the L’Aubergade Cider, Ale & Sausage Festival is not to be missed! We bring a range of west-country sausages and cider, and a selection of great musicians, for a special celebration on the second weekend of August. Lac de Montriond is a site of exceptional beauty throughout the year, however it’s in summer when it really comes into its own. With temperatures reaching 30 degrees, the banks are lined with sunbathers, and the water is filled with swimmers and paddle-boarders. For the little ones there is fun pony trekking around the lake, and it’s not uncommon to see international triathlete’s training. 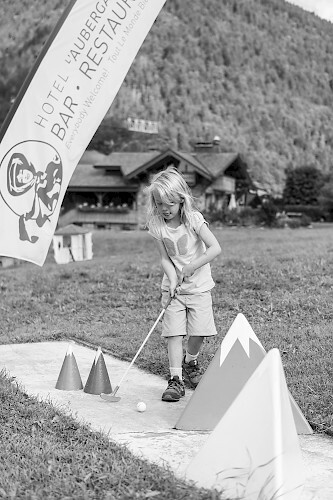 Mountain Mavericks top tip – come for the Montriond Fireworks Event in August! 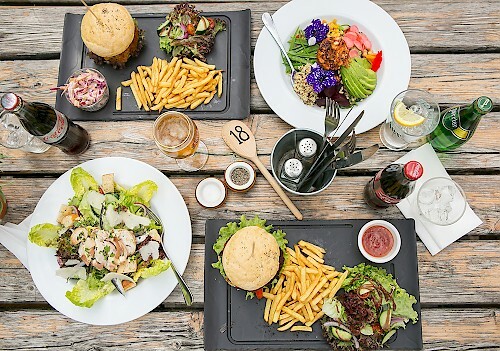 Ok – the food is always good in the Alps, however during the summer you can make the most of the longer evenings with a Summer BBQ and cool down in the daytime with a tasty ice cream. During Mountain Mavericks Summer Activity Weeks you also have the option to experience a traditional mountain meal; cheese, wine and mountain views – what more could you want!? Morzine is renowned for being a great value destination throughout winter, but summer holidays here really are impressive. Flights are a lot cheaper as the volume of traffic coming into Geneva is generally lower, and the lift passes give great value for money. You can get a Multipass for around €10 which allows you cheaper access to a whole host of activities like swimming, luging and bike hire. These are just 5 reasons to visit our glorious town in the summer, but to really understand it’s magic. you have to experience it for yourself! Simply ask a member of staff or email us at thechalet@mountainmavericks.com and we’ll give you some more information on our summer holidays. For information on this summer’s lift opening dates head here. If you’re interested in our summer options, we are offering 20% off your holiday June – September 2017 with Mountain Mavericks chalets if you book during your winter break. Ask your host for more details! !